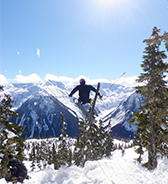 At Coast Mountain College you study, work and play in one of the most spectacular places on earth. 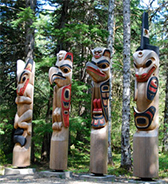 Rich in history and culture, come learn and explore here. 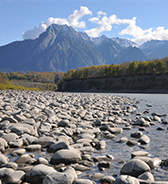 Located in the beautiful Skeena River valley, Terrace is surrounded by stunning mountains and beautiful views. 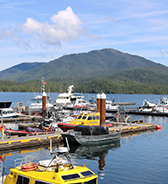 Prince Rupert’s campus boasts a spectacular location on an inner harbour on the north coast. 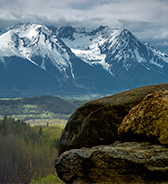 Nestled in the Bulkley Valley, Smithers is a vibrant and welcoming mountain town. Our Hazelton campus is enveloped in a place of beauty and awe inspiring views. 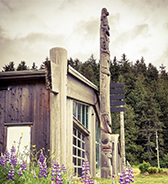 Steeped in Indigenous cultural history and pristine beauty, Haida Gwaii is located across the Hecate Strait from Prince Rupert. We provide our communities with innovation programs and experiential, place-based education.